I was lucky enough to see Jack Savoretti perform a short acoustic set at HMV Oxford St earlier this year. He's one of my favourite artists, even though I've only heard his latest two records - though checking out his first two is certainly on my to do list! I'm loving this stunning acoustic solo session of the title track of his latest (brilliant) record, Written In Scars. The guy is an absolute legend and I can't think of much to say other than that he's got a charmingly unique voice and style and I really recommend a listen to his music if you haven't already heard him, pretty sure you won't regret it. I've recently been introduced to this track, Even In War, from British musician Damien Ike. 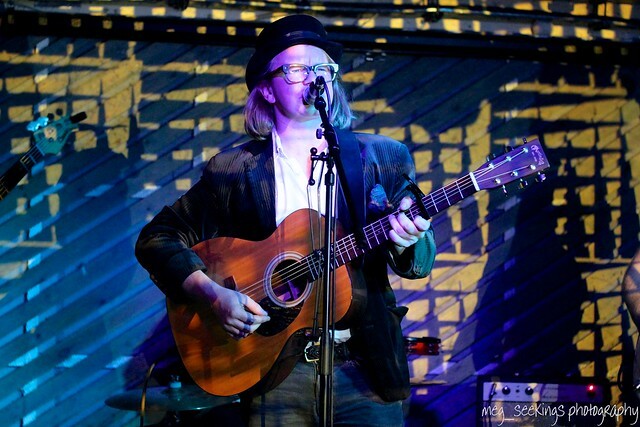 Impressively at this early point in the Goldsmiths University graduate's musical career, he's already had support from the likes of BBC Introducing, XFM, Amazing Radio and SBTV (to name but a few!) and has worked with a range of talented and exciting producers. His recent online released track Kingdom Come placed at #3 on the Hype Machine chart, and the singer cites a broad range of artists including Everything Everything, Kanye West, Mumford & Sons, Adele and Coldplay as influencing his own work. He's been said to push the boundaries of song writing with 'instantly recognisable and incomparable music' - and while I don't feel qualified enough in Ike's music to reiterate this statement, I can say that I'm really loving this new track, his second online release. Building up slowly the track is catchy, and one that I could see comfortably fitting into multiple genres... satisfying my love of alternative music but also giving hints of pop and dance music, explaining his support from BBC Radio 1Xtra! Altogether a track I'm pretty glad to have been pointed towards and recommend you giving a listen to, and I look forward to hearing more from this up and coming artist. Last summer, during a train journey to London with a friend, I was introduced to a number of new artists, one of which was the unique and brilliant Public Service Broadcasting. I love their record Inform-Educate-Entertain, and have recently bought their new record, The Race For Space - but I'll post about that another time! 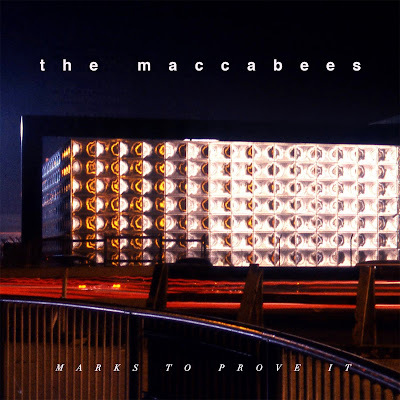 Yesterday Noisey premiered a PSB remix of the latest track by The Maccabees, Marks To Prove It. The bands are in my opinion two of the most exciting at the moment, and two of my personal favourites, so it's a dream remix for me. As Public Service Broadcasting don't use vocals but instead play music alongside segments of archive broadcasts, public service announcements etc, this remix makes the track sound like it could be a PSB track in its own right, without taking away the charm of the original track. Let me introduce you to this beautiful up and coming artist, Frances, whose now track Grow received its first radio play earlier this evening on Annie Mac's BBC Radio 1 show. I recently saw her play a mesmerising set at the Oxford leg of the Communion New Faces Tour, playing an opening set of keys and vocals to the almost-hometown crowd (naturally I instantly saw a similarity with Rae Morris, which is certainly no bad thing.) I got this shot of her at the gig last month. The track is the first of an EP which will be available to buy shortly. It's a bit belated, but as I've just got back home for summer from university I've finally been able to listen to Sam Beeton's new record, In The Yard, on vinyl. Having listened to the album a lot already on my iPod, I can certainly say that this format heightens it, giving the tracks more depth and making me fall in love with the record even more. Almost four years ago exactly I went to see my favourite band, The Hoosiers, live for the first time, and Sam was the support act. After meeting him and shortly organising a gig with Sam at my school's summer fete, we've since had a couple of photoshoots and I've seen him play gigs in a variety of places across the UK, both headline and support slots - in short, the guy is a genius and quickly became a favourite of mine when I first heard his music four years ago. Up until a year or so ago, Sam was releasing his music in an interesting, unique manner through his Record Club, a subscription service through which fans got a track or two a month on a signed CD direct to their door, as and when Sam had recorded them. This process was full of benefits for both Sam and his fans, allowing us to constantly get new music from Sam, who was able to receive instant feedback on the tracks, building up a relationship between Sam and his fans, and allowing for, in a sense, worldwide recognition, with subscribers on every continent. 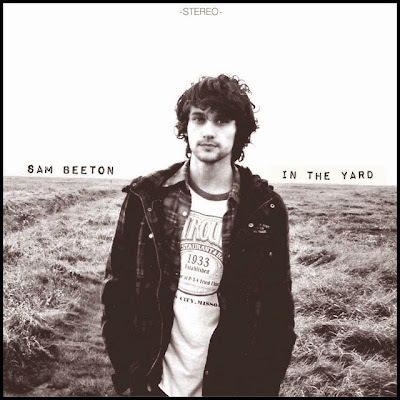 Sam has however recently returned to more traditional methods of releasing music (though it appears that the plan is to release more tracks through the record club in the future) with a full album, entitled In The Yard, featuring a mixture of new tracks and restyled Record Club tracks, which was released earlier this year. Overall, its a really brilliant record that was worth the wait, and that would appeal to fans of artists such as Paolo Nutini, Jack Savoretti, Ben Howard (you get the picture...) Below is the official video for the track Belong, and you can find links to buy Sam's record In The Yard here. I'd apologise for the large outburst of Matt Owens related posts lately... but he's one of my best recent musical discoveries and I'm pretty excited about sharing his music with you. A few days ago I had my final exam of the semester and finished my first year of uni, so I decided to spend my last evening before moving home in London seeing Matt and his band The Delusional Vanity Project again. I love Matt's record Songs For An Empty Room (which I recently reviewed here) for its diversity in style, brilliant lyrics and true to live sound, as it was recorded over a couple of days - and this all comes across in their live shows, where the fact that the band is comprised of incredibly experienced musicians is also prevalent. Being a relatively new project and having played a limited number of gigs as TDVP, the band are tight and sounding brilliant. Having seen them four times in a month in various different venues around London, with a slightly different line-up each time, I can reliably say that this post-Noah & The Whale project is superb and I can't urge you enough to go along to one of the upcoming shows, with various London and Ireland dates (many of which are free - what excuse do you need?!) on Matt's site here. The set on Wednesday evening felt slightly stripped back as a four piece band, but it remained energetic and comprised of tracks from the album, including particular favourites of mine, The Harbour In Kinsale (live video from another gig) and Get Me Back To Austin, and was ended with an encore cover of the The Band track, The Weight, which I recorded below. I took my camera along to the show to get more experience of shooting in a small venue, and got the shot below which I'm pretty chuffed with. My other shots from the evening are in an album on Flickr here. Having just moved back home after finishing my first year at university, I'm currently sifting through my piles of belongings and struggling to find time to post (or just generally to find my laptop within all that stuff!) Having been to something like 35-40 gigs during my first year at uni, I'm looking back at the brilliant range of artists I've seen, including Nick Mulvey, Sivu, Dry The River, Bombay Bicycle Club, The Sea & I, Everything Everything and loads more. Here's a little throwback to a beautiful "unplugged" performance of Josephine from Stornoway at their recent Reading gig - just one of the many bands/musicians who I've started to listen to since being in Oxford. 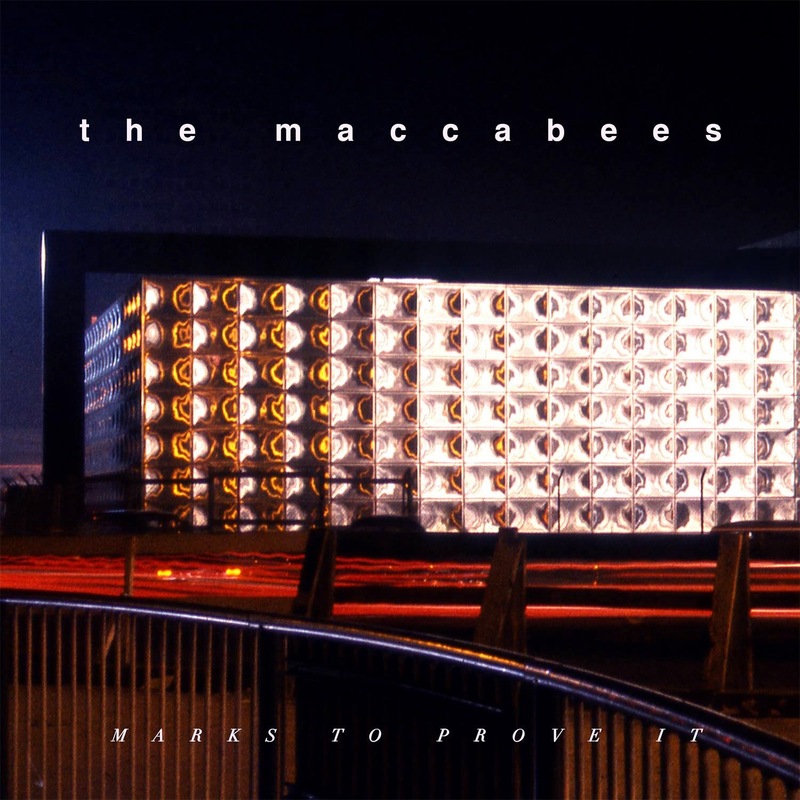 Following the release of their latest single, Marks To Prove It, The Maccabees have today announced details of their upcoming record of the same name, which is to be released on 31st July. You can order the record from the band's store on CD, Deluxe CD and orange vinyl here. Absolutely loving this beautiful (visually and sonically) performance of Love Again by Rae Morris for Hunger TV. As well as collaborating with some fantastic musicians (Bombay Bicycle Club, Fryars & Sivu to name some), Rae released her debut record, Unguarded, earlier this year. I was lucky enough to catch her at the Oxford leg of her UK tour in support of the record, a brilliant evening, stunning performance and she struck me as incredibly humble when I met her afterwards - find dates for summer festival performances and her October tour here. Check out my post about Rae's recent collaboration with Sivu, The Nile, here. I went along to see Matt Owens and his band The Delusional Vanity Project again last night at Effra Social in Brixton. Took my camera along but as both the above video and one of my shots from the evening below show, the lighting was pretty dreadful so I quit whilst I was ahead. But who needs to see anything when it sounds as good as this? After travel delays I was glad to arrive in time for Tom Figgins' impressive solo support set, after which he joined the rest of the band shortly after for a set comprising of tracks from Matt's solo record, before turning to impromptu covers including a pretty fun performance of Johnny B. Goode. The guys are some of the nicest people I've had the pleasure of meeting and was lovely to see them again and get to chat - certainly recommend getting along to a gig as they continue to play London shows, and an Irish tour at the end of May (dates: http://www.mattowensmusic.com/tour-dates/). See my review of Matt's solo record, Songs For An Empty Room, here. Dawes have released the second track from their upcoming record (All Your Favourite Bands out 2nd June). It's called Right On Time and after a little Youtube digging I discovered that far from being a new track, they've been playing it live for a while now, including this performance for radio. A great track with the brilliant lyrics that I've come to expect from the band, and a sure sign that the record is going to be one to watch out for this year - and only a few weeks left to wait! Lucy Rose, along with the stunning Rae Morris, is a musician who I've been introduced to through her collaboration with Bombay Bicycle Club. 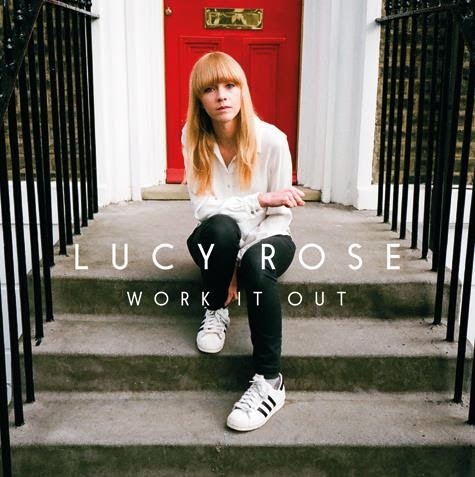 I don't typically listen to many female artists, but its clear that Lucy is a huge talent, and I loved seeing her sing live with Bombay at their massive Earls Court show back in December. She has today announced news of her upcoming record, entitled Work It Out, which is set to be released on the 6th July. Above is a live video of the single Our Eyes, which features on the record. You can pre-order the album from the official webstore here. Picture the scene. I'm at uni for a two hour revision session in which I've learnt... not much. Walking through a barely used university building I stumble across a huge poster for Wilder Mind, the new Mumford & Sons album, and an unintentional selfie ensues. I've been a huge fan of the band since the massive airplay that The Cave received during a Brighton hockey tour in 2009 (we travelled in minibuses a lot!) At the end of 2012, I was lucky enough to see the band play a massive show at Nottingham Capital FM Arena following the release of their second record Babel, which propelled the band massively into the mainstream, scoring them their first number 1 record in both the UK and US. Now, however, that position has been matched by the band's latest offering, Wilder Mind, reaching number 1 last night in the first week of its release. It features the singles The Wolf and Believe, the latter of which was the band's comeback single back in March of this year. The track signalled a departure from what fans had come to think of as the unique sound of Mumford, with the loss of the acoustic guitar, kick-drum and notably the banjo. To some, this was terrible - now, I'm not particularly fond of change, but when it comes to musicians, though being far from an artist myself, I'm aware that creating music requires a lot of passion, and if the artist's aren't getting something out of creating the music then something isn't quite right. Because of that, I'm usually pretty accepting of bands going in a 'new direction' to keep the spark in their music, and for Mumford, it has definitely paid off, and shows the versatility of the band, who are a talented group of musicians. While many were quick to judge the record before its release simply for being different, there are definitely many of the fantastic elements that we're used to, including the superbly penned tracks and chilling lead vocals of Marcus Mumford, with the addition of the full drum kit and electric guitars giving a heavier and more mature sound. In short: I love it. You can get Wilder Mind, from the band's official store here, and check out the band's upcoming tour/festival dates here. By no means a new video, I just stumbled across this and had to share. Cage The Elephant are a band who first came to my attention a few years ago with their track Shake Me Down, and whom I was reminded of on the live coverage of Reading and Leeds last year, with their skilled and energetic performance making me fairly jealous of a friend who was in the crowd at Reading. I've never actually purchased one of their records but they're pretty high up on my wish list... with tracks such as Ain't No Rest For The Wicked and Cigarette Daydreams maintaining my interest. The latter track is taken from their newest offering, Melophobia, which also features the above track Come A Little Closer. Sticking with the post Noah & The Whale theme that came about with my recent review of Matt Owens debut solo record, another member of the band, Fred Abbott, is also soon to release a solo record, entitled Serious Poke. Above is the first offering from the record, the rather ironically feel-good track Funny How Good It Feels, held together by a fun drum pattern and showcasing some pretty clever guitar play. As a solo record, being released independently through Lojinx, there's far less of the commercial pressures that would've come alongside a NATW record, allowing Fred (and a few of his Noah bandmates who also played on the record) to be more experimental creatively. The track is a great hint of what's to come from Fred's album, which is expected on July 20th. Check out this new video from Balloon Ascents for their track Cutout. It's a pretty nice track with a really brilliant bassline, from the talented local band who are causing quite a stir already in both the local and national music scenes, with the Oxford Times labelling them as 'terrifyingly talented'. I saw them play at a Sofar Sounds gig earlier in the year, as well as an impressive stripped back set at Truck Store recently. 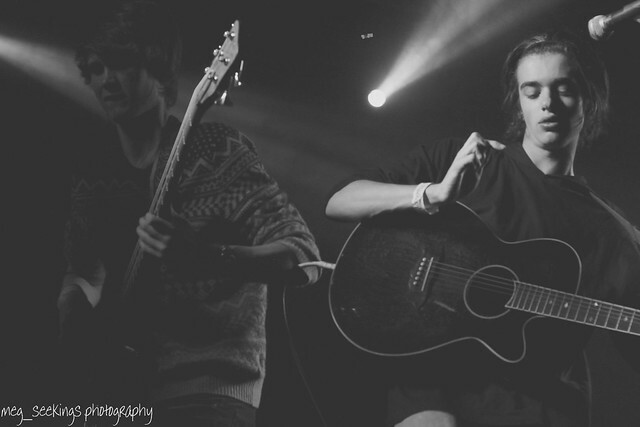 Last week I saw them play a set at the O2 Academy Oxford on May Day, where I had my first ever photo pass for a 'proper' gig. The lighting at the gig wasn't that helpful, but I managed to salvage some shots and put a few up on my Flickr here. The band's self-titled four track EP released earlier this year is available on iTunes and features Cutout as well as a personal favourite, The Only One. After a successful run and four brilliant records, indie rock band Noah & The Whale announced a split of sorts a month ago. I'm a huge fan of their music, particularly favouring their second album The First Days of Spring, and naturally I was pretty gutted, but glad to know that the band were all continuing to make music. Lead singer Charlie Fink has hinted at solo work with a new website and Soundcloud, while Fred Abbott is working on a solo record, and Tom Hobden tours with Mumford & Sons. Matt Owens (AKA Urby Whale) is also releasing a solo record, which I was lucky enough to get my hands on and absolutely adore. He’s currently playing tons of London gigs with an impressive band (interestingly entitled The Delusional Vanity Project) comprising of Tom, Fred and Michael of NATW, with George Leigh on bass and Tom Figgins on guitar. Last weekend I went along to a show at Proud Camden (a slightly surreal club experience but I won’t go into that) and they played a superb set, showcasing the range of the record, which goes from rough rock (think I made that up) to stunning violin solos within moments. After the set I introduced myself to the band who were all lovely guys and pretty shocked that I’d travelled from Oxford for the show, and with whom I got to chat with before dashing for the last train. Matt’s record is titled Songs For An Empty Room, a hint at the difficulties involved in starting over again, though I must admit that I admire that he hasn’t chosen to use the NATW social platforms to get an instant, large response to his music, instead building up a new following in his own right. In our discussion last weekend he told me about the interesting process of recording the album live over a couple of days, with much of the album being authentic to its original recording. This comes across on the record in a fantastic way, allowing for the brilliant songwriting and arrangements to be foregrounded without being overshadowed by fancy effects. For me, a highlight of the record is its range, going from the slow Everything’s Got It’s Place (listen on the album sampler above) with it’s beautiful violin solo two minutes in, to the lively The Harbour In Kinsale. A particular favourite of mine is Jack Does Hollywood, which is what you might call a murder ballad, sung from the perspective of Jack the Ripper, which sounds strange admittedly but works and is catchy in its own haunting way. Overall, the album is refreshing and a favourite of mine so far this year, showing promise for the other upcoming post-NATW releases. You can listen to a sampler of the record above and take a look at the upcoming gigs here (mostly in London) - can’t recommend enough that you go and see the guys live if you get the chance! In all my excitement I forgot to post about this... but better late than never. The superb American folk-rock band Dawes have a new album, titled All Your Favourite Bands which is set to be released on June 2nd (info.) I was first introduced to the band through Mumford & Sons, as they supported them on their UK tour at the end of 2012, playing a superb set, and I’ve been desperate to see them live again ever since playing a show in their own right. Taken from the record is the first single Things Happen, which on the exterior is a fairly sad song and video, but culminates in a pretty inspiring moral - ‘things happen, that’s all they ever do’ (so get on with it!) I can't wait to hear more from this new record and hope that the band include the UK in the album touring schedule! When they released new track Distant Past, I already had high hopes for Everything Everything’s new record, Get To Heaven (out June 15th.) These hopes were realised when I saw the band play a superb set in London earlier this month, playing 7 or 8 tracks from the new record. 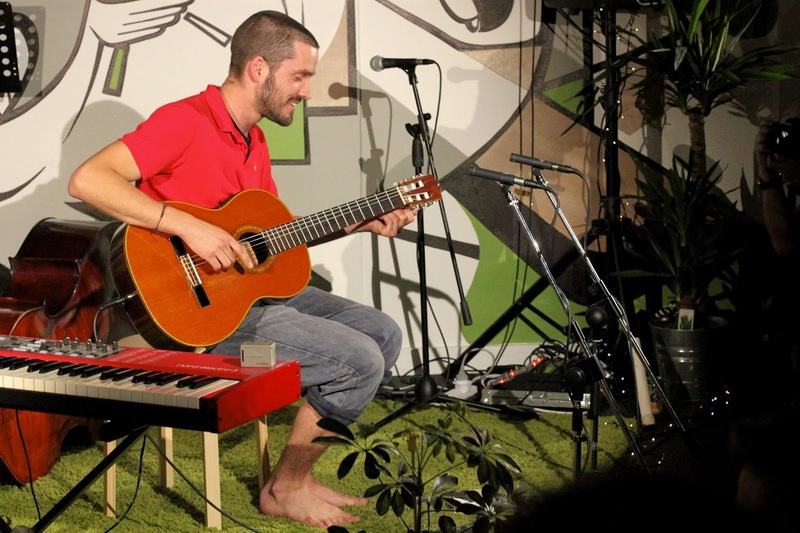 One of these tracks was a song called Regret which was pretty impressive live, oozing single material and showcasing the diverse singing style of the band’s lead, Jonathan Higgs. The track premiered last night on Radio 1, and you can listen to the audio above. Very cool to have had my photos from the last Sofar Sounds show shared by the venue which hosted us on their blog here: http://3spaceoxford.tumblr.com/post/11717895981. 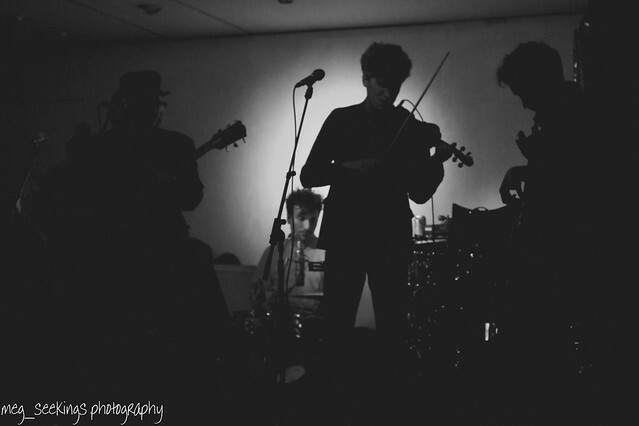 We had a brilliant evening of live music from Rex Domino, Bellatrix, Dizraeli and The Slow Show.